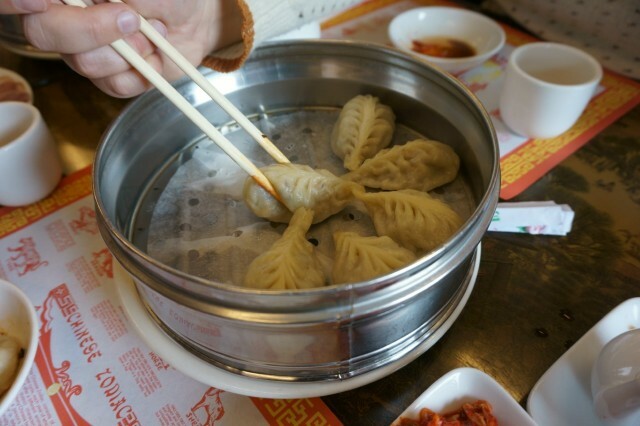 As an exciting part of the 4th Annual Chinaweek, get ready to explore some award-winning dumplings, noodles, and other local Chinese cuisine while taking a historic walking tour of San Gabriel Valley and the Mission. A local guide will teach about Chinese culture, cuisine, and the local community while guests savor famous soup dumplings and more! Guests will be led on a route of about 4-5 eateries on roughly 5 walking blocks. The tour lasts about 4 hours. The tour will meet in front of Hui Tou Xiang Noodle House (704 W Las Tunas Dr, San Gabriel, CA 91776). The tour guide can be identified by the canvas bags with 'Six Taste' on the sides that he or she will be carrying. The plaza generally has parking available in the morning.